Hey babes! I have something super simple today, it didn't take much work but that's because I really wasn't in the mood for spending hours on my nails. Yes, that happens sometimes! 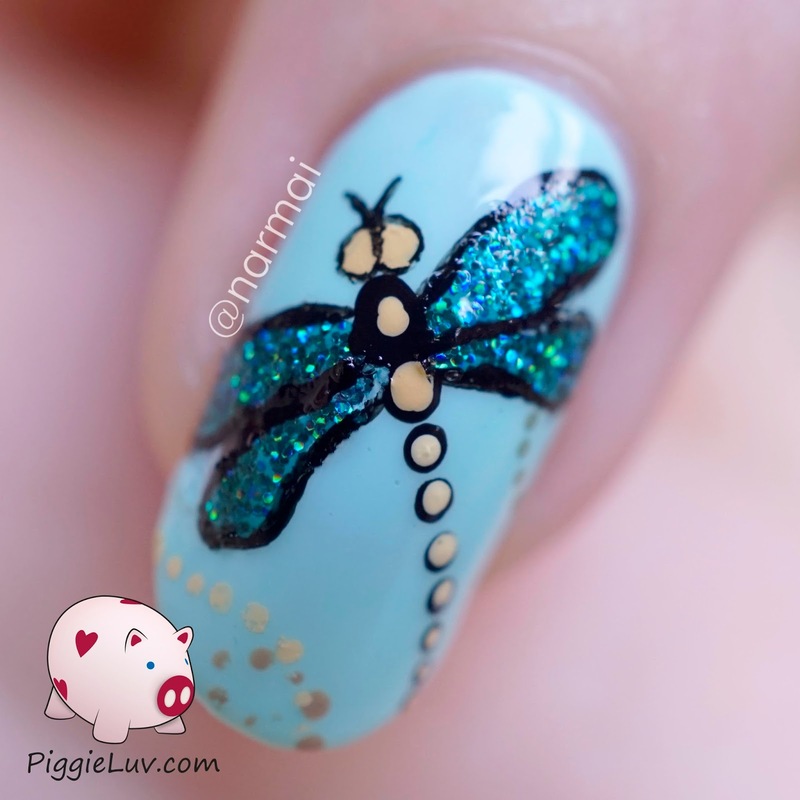 So today, it's this simple little dragonfly, whose wings glitter in the sunlight. 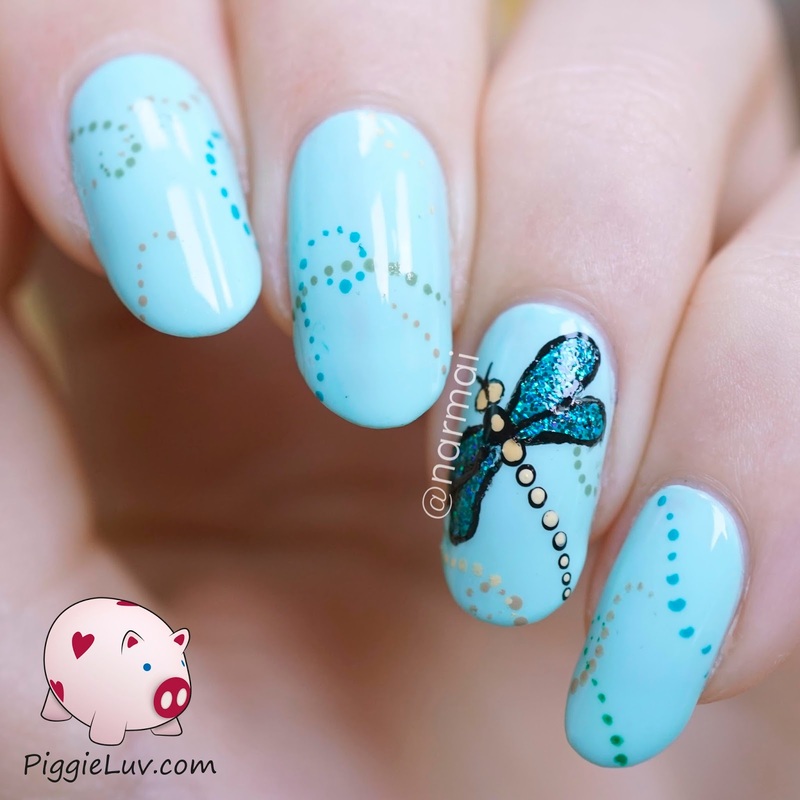 And the dots were fun to make too :-p Click to see more! Completely out of character, I used my dotting tool. Usually I'll use my Basic One Gold detail brush from Christrio Scotland to make dots, any kind of dots, and now I remember why. I feel so awkward with a dotting tool! I had no control over the size of the dots, and placement was really hard as well. I received Digital Nails Anomaly & Liquid Palisade as press samples to make nail art with. Opinions expressed are 100% my own and not influenced in any way other than the quality of the product itself.